Ideal for reaching behind, underneath or around machinery and/or difficult to reach areas. These tools have a maximum temperature of 300°F (148°C). 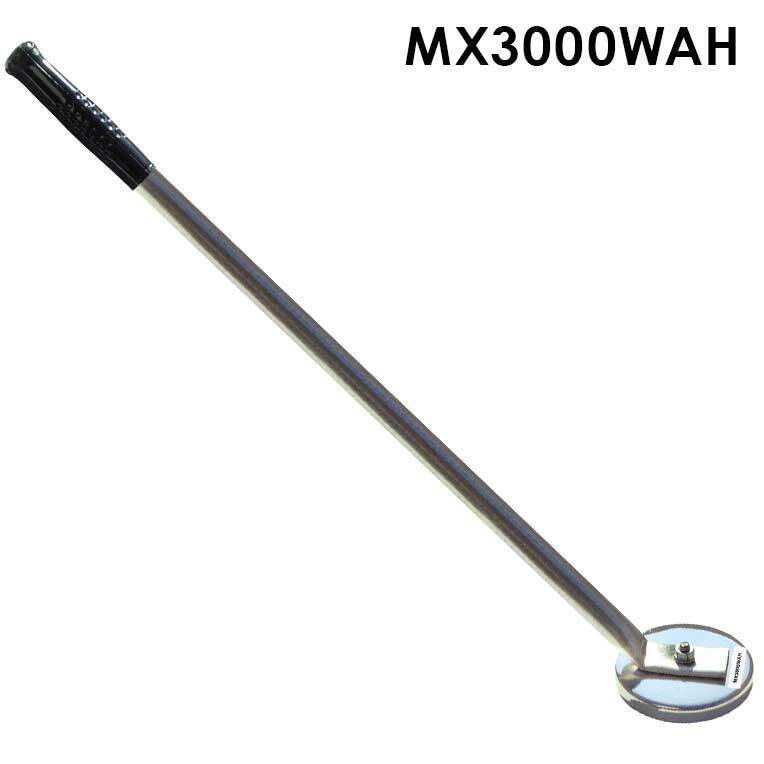 MX3000WAH Lightweight, long reach retriever with a Ceramic magnet at a 45 degree angle and 3-1/4" in diameter. 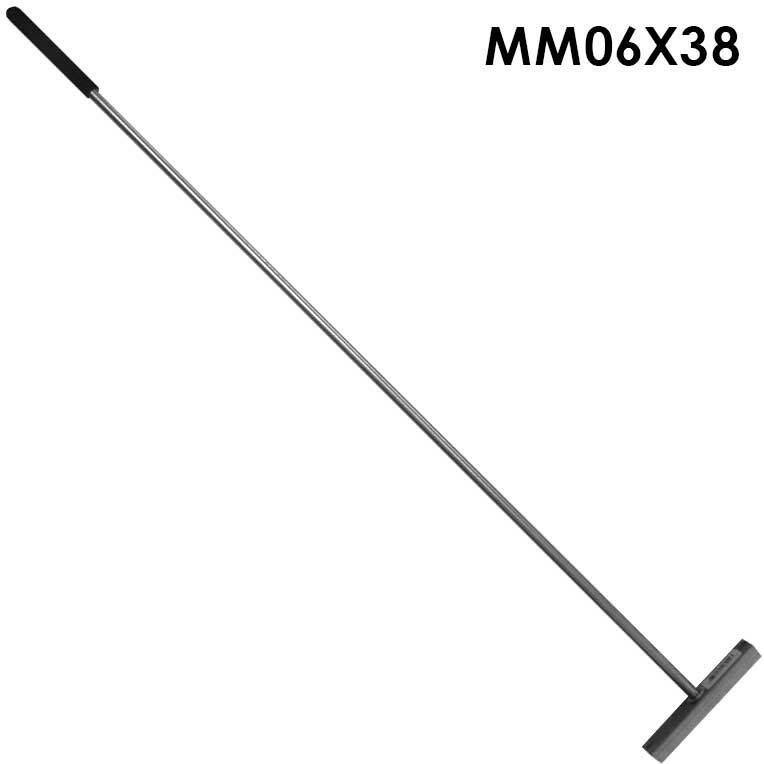 MM06X38 Collapsible, long retriever for narrow areas. Ceramic Magnet is 1-3/8" sq. by 6" long. 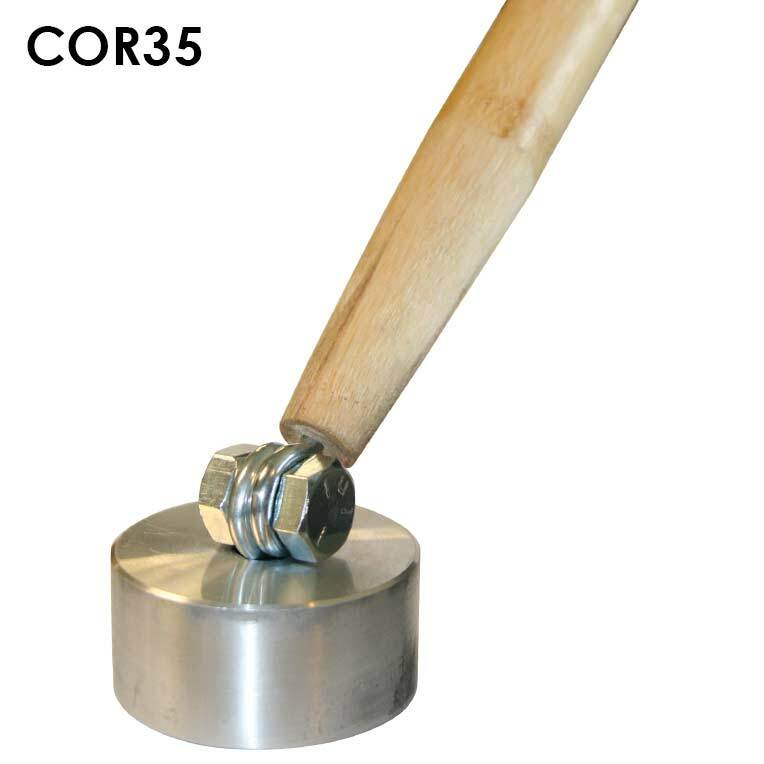 COR12 & COR35 have an Alnico Magnet attached to a wood handle and are designed to retrieve ferrous metal items from tanks, acid baths, oil reservoirs, heat bake ovens and more. COR12 magnet is 1-3/8" diameter and COR35 is 2-1/2" diameter.